Cosmic Thursday at UCR Tomorrow!! This is a great opportunity to enjoy one of Riverside’s four College and University Campuses. This program is the second lecture in the Public Talk in Astronomy series through UC Riverside’s Physics and Astronomy Department. This event is free to guests and visitors to the University. 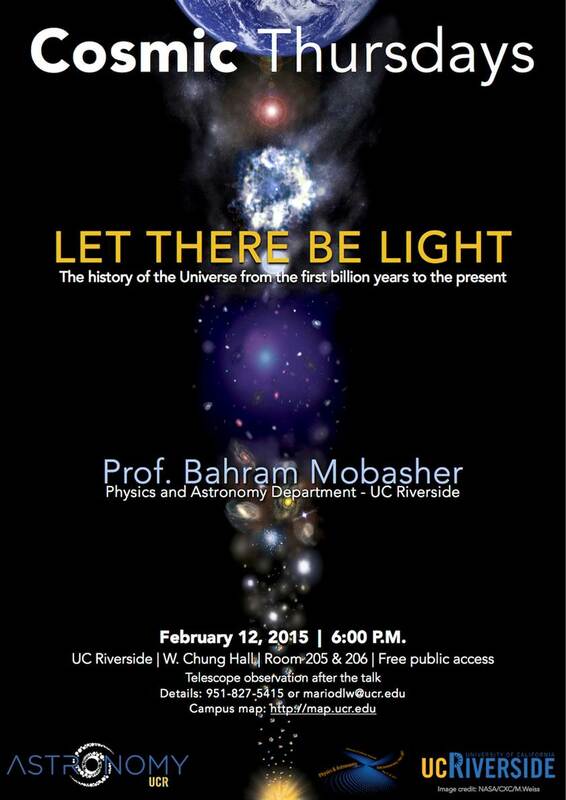 Professor Bahram Mobasher will present his talk, “Let There Be Light: The History of the Universe from the First Billion Years to the Present”. This is a fascinating lecture and includes star gazing after the talk.